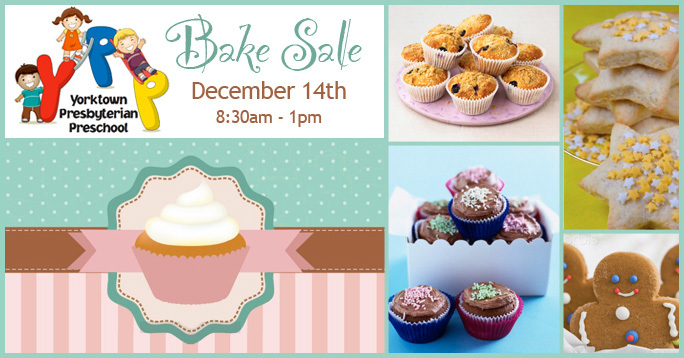 On Sunday, December 14, from 8:30 am to 1:00 pm, come do some of your holiday baking the easy way! Purchase some treats in Fellowship Hall, all for the benefit of the Yorktown Presbyterian Preschool. The preschool is one way in which we help support families in our community.